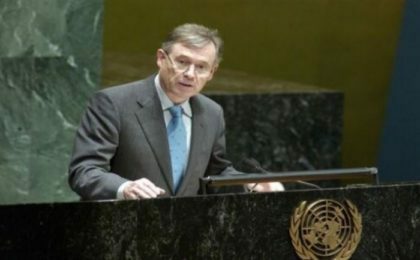 The UN Secretary General’s Personal Envoy for the Sahara, Horst Köhler, has plans to convene a second round table of meetings in the second half of March in Switzerland, said the Secretary General’s Spokesman Stéphane Dujarric Tuesday during his daily briefing. In preparation for the second round table, Horst Köhler has been holding bilateral consultations in February and early March, the spokesman said. The first round table meeting on the Sahara was held in Geneva last December (5-6) and brought together Morocco, Algeria, Mauritania and the Polisario. This initial Sahara roundtable was the first of its kind in six years. It was marked by the participation of Algeria, for the first time, as a party to the regional dispute over the Sahara and as a main stakeholder in the process aiming to find a political, realistic, practical and lasting solution to the conflict. According to the UN, the Geneva 1st round table meeting was held as “a first step towards a renewed negotiations process with the aim of reaching a just, lasting, and mutually acceptable solution”. In January, when briefing the UN Security Council on this first round of talks, Horst Köhler updated the Security Council members on his plans to advance the UN-led political process and convene a second roundtable in March.